What are the favourite things about where you live? 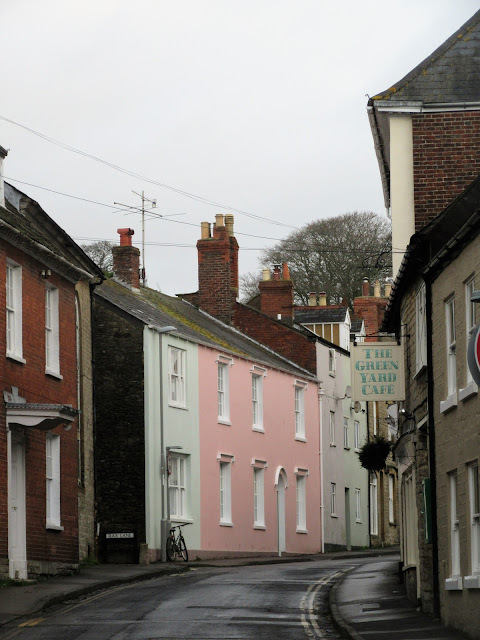 Obviously the highlight for me is living by the sea, but I also love the town of Bridport, even in the winter - let me show you some of my favourite buildings. The oldest building in Bridport is the Chantry dating back to the 1253. 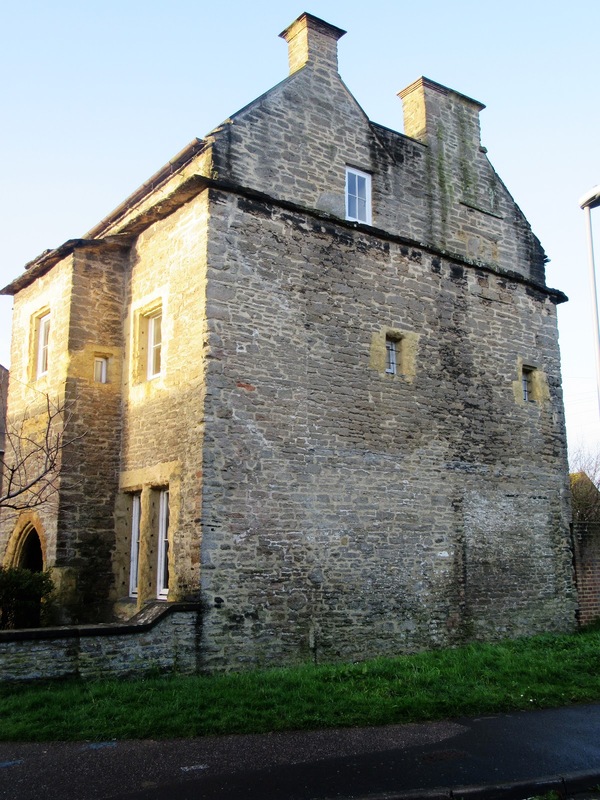 It was once used as a Priest's house. The Council have recently put it on the market, it is a shame that it will fall into private hands. 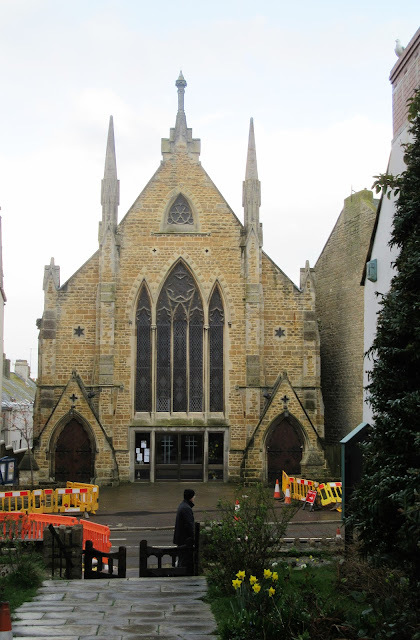 Bridport had a strong dissenting tradition - this led to many different non-conformist chapels being built in the town during the 18th and 19th century. Following a recommendation from Brenda at Brenda I have been reading many of Tracey Chevalier's novels. Even my husband who is not usually interested in historical novels has been enjoying reading them. 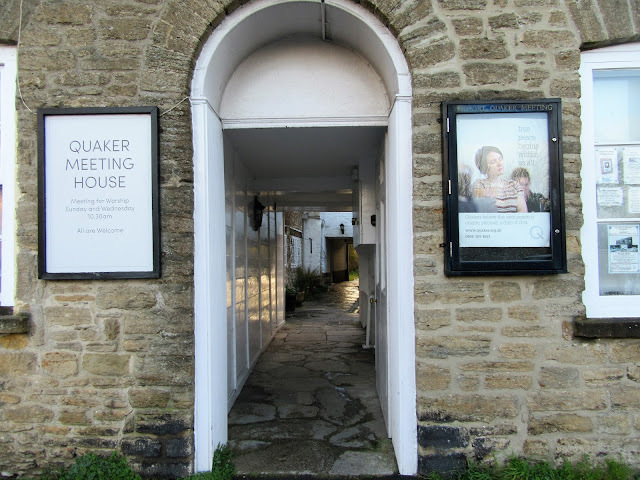 I was quite surprised when I picked up The Runaway to discover that it started in Bridport and mentions the Quakers Meeting House. Has anyone read it? 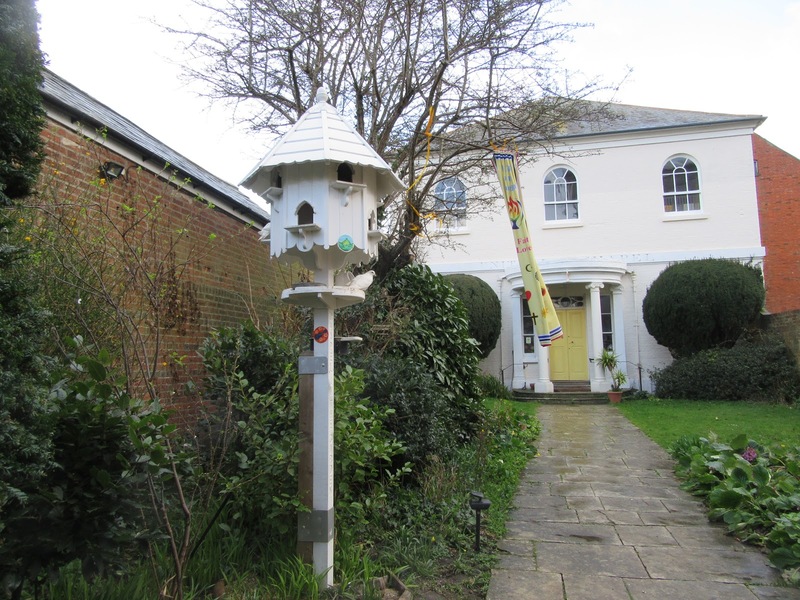 The Unitarian Chapel in the Garden has a lovely dove cote outside and inside upstairs the box pews are now used to sell donated second hand books. I always love to rummage through old books, you never know what you may find. Looking the opposite way and facing each other is another magnificent church! The Electric Palace is another popular entertainment location. It was the second cinema in town and opened in 1926. Today it is used for films and also for live music. The art deco interior is wonderful. There are many winding streets and further places to explore. 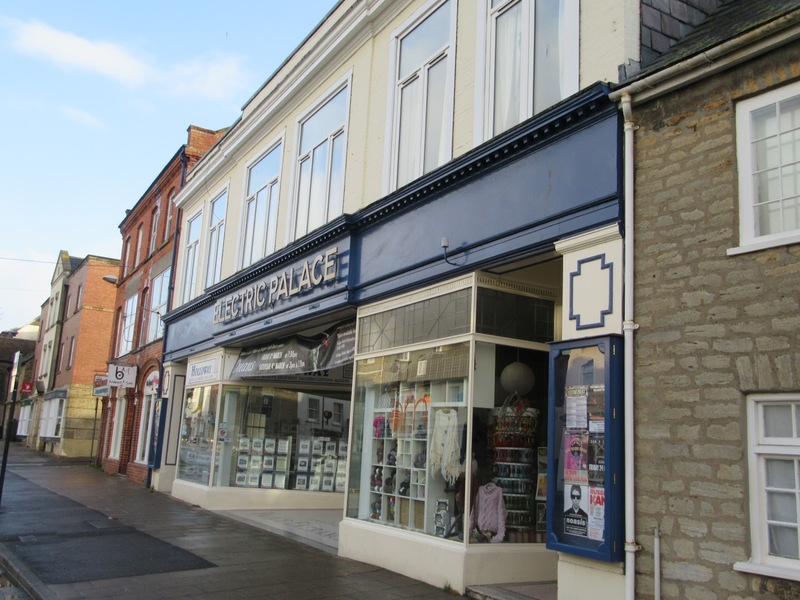 There are many independent shops which make shopping a pleasure and a unique experience. I should point out that it is not usually this empty! We were up early on a Sunday morning while everyone else was probably still in bed! I would love to hear about your home town too. If I ever get to England the second-hand book stores, along with the antique shops, will be the first places I visit! Then the gardens. We love our downtown because they've made it very walkable. There is a linear park that runs along a creek from the town park (with a band shell and playground among other features) past shops and restaurants, the library, and art center. I'm guessing it's at least a mile long. They hold music events and festivals there, too. Here, a band shell means it has a back/side/top shaped like a shell! Only the front is open to the audience and helps funnel the sound in that direction. Such a beautiful place, Sarah, and so old. A building which is 100 years old is really something here. I love everything about this island since I am an island girl at heart. 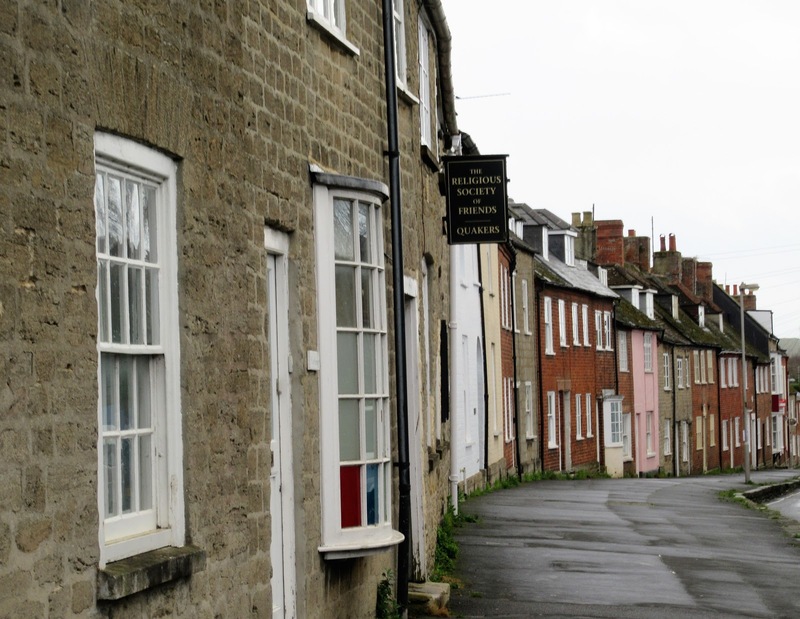 How lovely to see the photos of your town - Bridport looks like a beautiful place and loved seeing around. Great to get up early while people are still in bed. Love Chantry building and fancy that dating back to 1253! 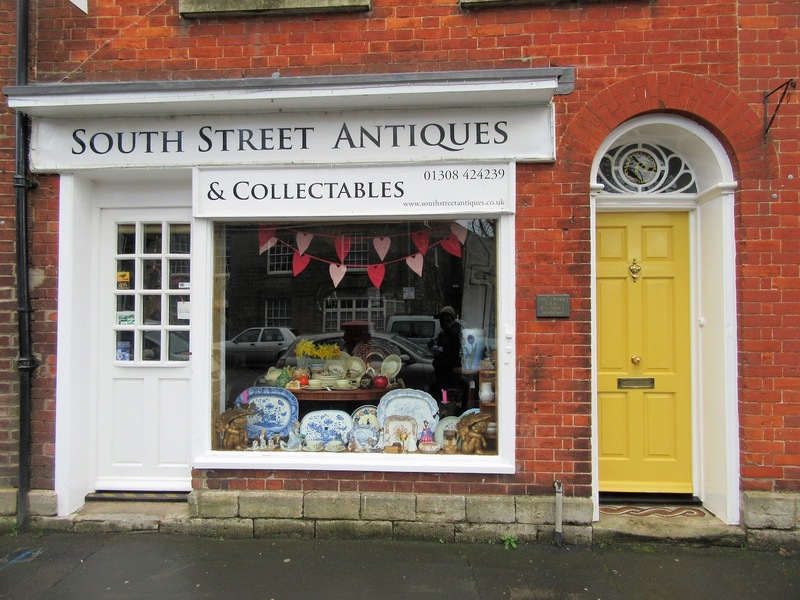 Also love the quaint little antique shop and I spy a pretty pink house. We'll be passing through Bridport on Friday on our way to Cornwall - usually stop here for a cuppa - will look out for these buildings! for 42yrs...I've done a lot of business there! to London...Arrrrgh! but no, turned it ALL down! Hi Sarah, I’ve read one or two novels by Tracey Chevalier but not The Runaway, I must add it to my want to read list. My favourite thing about living where I do is being so close to the countryside, my least favourite is being so far from a town. 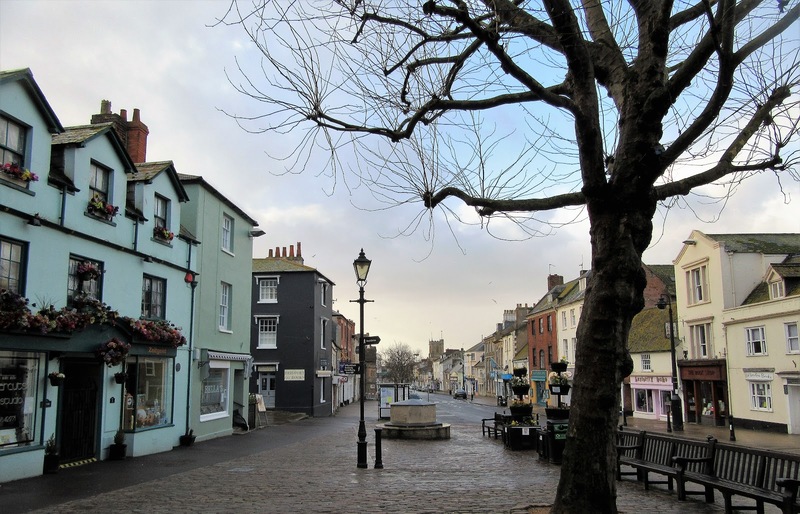 I’m beginning to think I would like to move to somewhere like Salisbury where the countryside is not far away, but shops and doctors are on the doorstep. 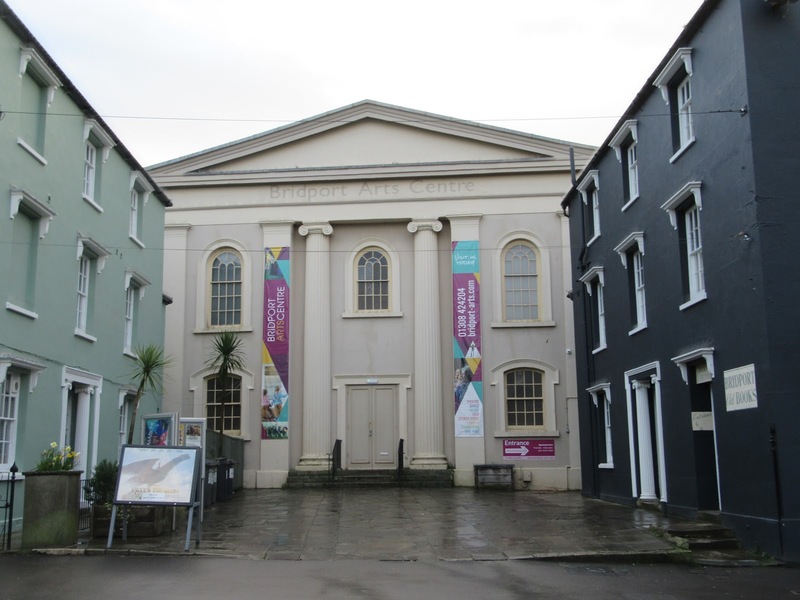 I would love a rummage through the books in The Unitarian Chapel – I must remember to pay them a visit if we visit Bridport this summer. When does the hat fair normally take place? It would be nice to aim for a day when there is something special is on, my hubby would enjoy photographing all the hats. I really enjoyed seeing all the photographs and hearing about how much you love it there. It looks like a lovely little town, a great place to explore. Oh Sarah, your town is MAGICAL, just like I envision England! I want to go there so badly, and just wander the old streets of history and beauty. Now you have me thinking about photographing my town! Thank you for the tour of your charming town. I live in the US but dream of making another trip to the UK soon. Until then, I relish blogs that take me away....to England and Wales. Kind regards. 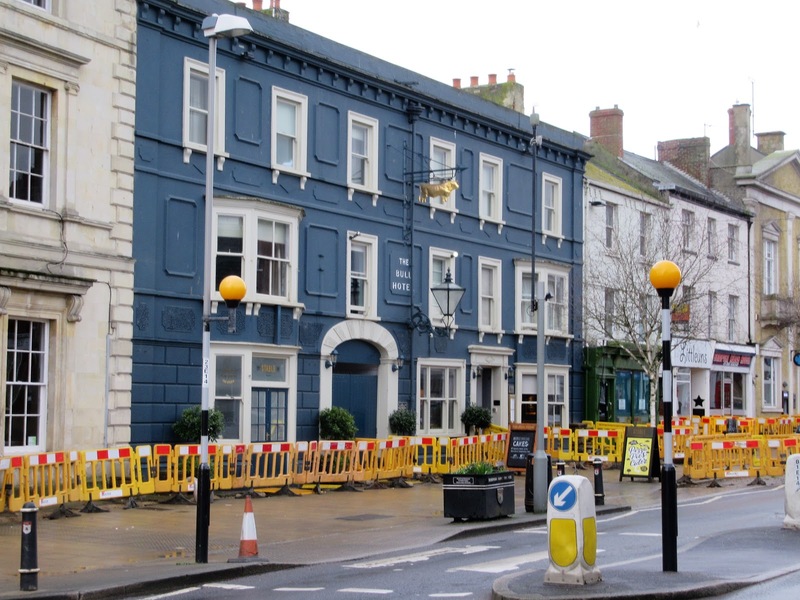 It's slightly home-sick making to see these photos (I used to live close to Bridport) and slightly strange because I think it's gone a little posher / younger / something-or-other-er than when I was regularly there. Lovely pictures. Thank you so much Sarah for sharing about your town with us all. I simply love to see more photos of England. My husband's grandparents from father side are originally from England. We would love to visit someday if we have an opportunity. The old buildings are precious but sadly corporations and such destroys them. Wonderful post! Many, many, many years ago I had a holiday near Bridport, looking at your pictures, I ought to come back sometime. A lovely journey, thank you. Thank you for the Brenda/olddogsnewtruck link. I have subscribed to her blog. 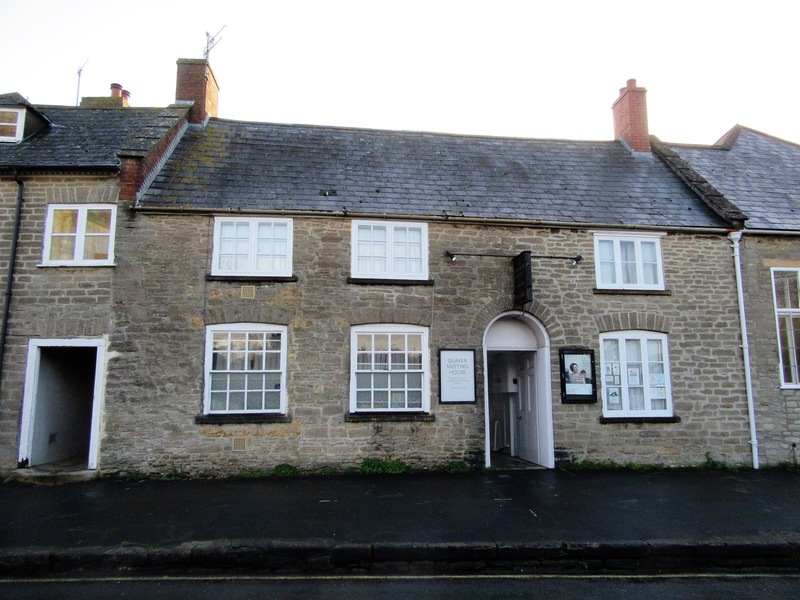 Not forgetting the Bridport yarn shop, where I bought a skein of gorgeous sock wool, whilst visiting there on holiday last year. I love where I live, but if I had to move your corner of the world would be at the top of my list of places to go live. You have natural beauty and a history that is rich and deep. I can't believe they are selling the Priest's House. I don't know how these things work but couldn't it be put in the National Trust? 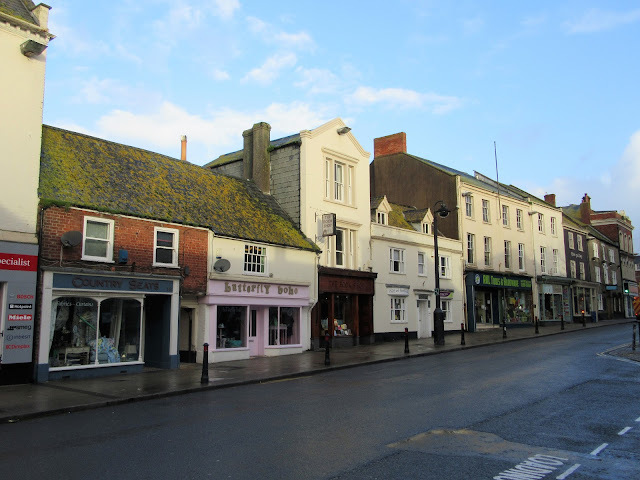 Although I have been to Britain many times, I have never been to Bridport, so thank you for the tour of this lovely town. So much history in every building, I'd like to spend a few days wandering around. (A pity about the priest's house, the National Trust does a good job with the projects they do take on. )I read one of Tracey Chevalier's books and loved it (about looking for fossils...around your area I think?) and The Runaway is on my list...my neighbour has a shelf full of her books! Happy spring! Oh I think too, that it is not normal, that a street is so empty. Your Impressions are wonderful, hope, to see Bridport and Weymouth soon. I am very fond of Bridport as you know. One of my favourite streets is the one you pictured (fourth from the end) where some of the houses have front gardens across the street. How interesting, I shall look at the street differently from now on!! You are a lucky dog to live with that magical coastline and a local town as history-laden as Bridport. Plus, it's charming. Do you know how Bridport's non-conforming tradition arose? It's fascinating how certain areas in England and the U.S. have historically been seedbeds for dissent and freethinking. Petri dishes for bucking the norm. Speaking of bucking, where does the name "Bucky Doo" come from? Finally, it warmed my heart to hear that you--and your husband--have been enjoying Tracey Chevalier's books based on one of my comments. I am usually reluctant to recommend books and movies because people have such different tastes. And my taste tends to be a little quirky at times. But in this case, I am so glad that I did. It looks like a delightful town! I have read "The Runaway". I enjoy Tracy Chevalier's books a lot. Love the look of the independent shops. They are the best shops to visit. I just love your place! Well, the best thing where I live? The sea, the countryside and the calmness - best! How have I missed out on Bridport? I love Dorset, had my honeymoon in Swanage and camped many times in and around that area, once spending a fortnight in my small tent (with large Border Collie!) in Wareham Forest when the temperatures plummeted. The dog's waterbowl froze solid on the 1st night, so after that, I always slept with a large bottle of water in my sleeping bag so that we both had a drink in the morning. Woke each day to deep, pristine snow and followed tracks of deer, badgers and other creatures through the woods. I must return - just waiting for the weather to improve; here in Cornwall we have had an overload of rain. But I absolutely love Cornwall - the sea, the pure air, the beauty, the magic. Even (most times) the rain! Towns with character like that are disappearing fast. If we're not careful, all towns will soon look the same. (Certainly they will have the same chain shops in their High Streets). 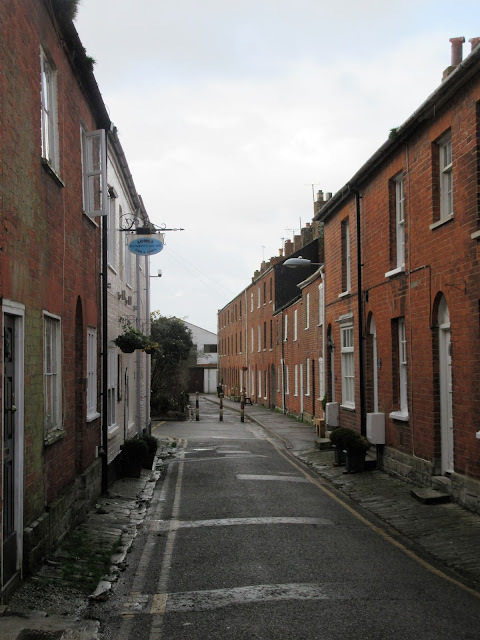 I've only ever briefly visited Bridport, but have always liked the look of it and your photos show it off really well. I was thinking you must be a very powerful person to have cleared the streets so comprehensively - then saw you'd made an early Sunday excursion... Love your header photos - excellent - and so timely! it was GREAT virtual pleasure which occupied my senses with excitement while looking at your one of MOST BEAUTIFUL TOWN!!! thank you so much for sharing these wonderful views of your town that owns marvelous architecture and lovely traditions and celebrations. I really love to walk with you in your town. It looks so wonderful.